A Girl Named Hercules | … and so I write. Six years ago I stood in a small, grassy field in front of a school in Zambia and stared into the eyes of a fifteen-year-old girl as she slowly began to tell me the details of her life. She was scared. She was unsure. She was angry. She talked to me about her life at home and her life at school. She told me about her fear and her failures, and she opened my eyes to a lesson I’ve yet to forget. I thought this mission trip would open my eyes to poverty and hunger, and make me see a world outside of my own. While I was able to see the clear differences from my “bubble” of a world, I also saw some similarities. In the eyes of that fifteen-year-old girl, I saw the same things I had once seen in my own eyes: insecurity. I quickly realized my heart had a special place for teenage girls. It didn’t matter if they were from Zambia or the United States, their fears still looked the same. 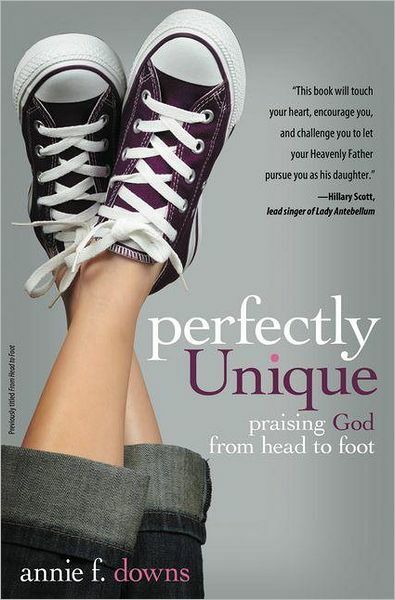 This week my friend, Annie Downs, releases her new book, Perfectly Unique: Praising God From Head to Foot. Annie understands the same lesson I learned in Zambia- every girl has her struggle. 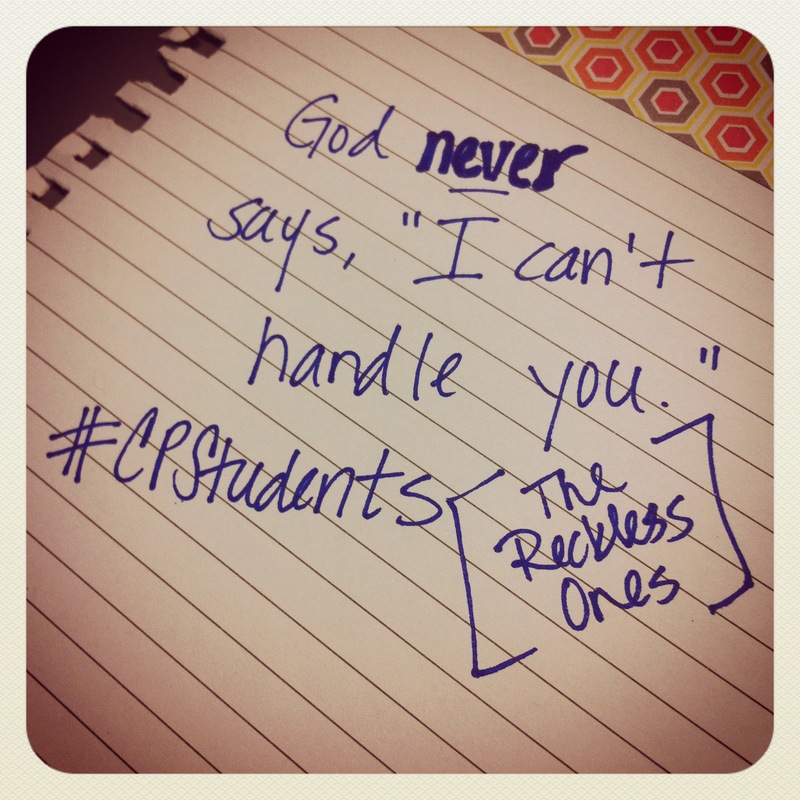 She’s written this book to give girls an insight on how God can use every part of her body to worship and to give girls confidence and faith to live out their teen and college years. Annie is a ridiculously talented writer and has a huge heart for young women. I’m so excited to watch her live out her dream and know this book will have an impact with girls around the world. Or go visit your favorite book store. Friday night I went to see Andy Davis play at 3rd and Lindsley here in Nashville. He’s been a favorite artist of mine ever since I moved to Nashville, but I think every female in Nashville between the age of 18 and 25 would say that’s true about Andy. There were 3 opening acts before he went on, and one in particular completely blew me away. Check out DANIELLA MASON. Seriously. This girl can SING. And WRITE. and put on a GREAT SHOW. I’ve been listening to her album all week and I cannot turn it off. Can Someone Pass the Milk? On Monday I will begin an 8 week nutrition program. 1. My jeans are getting too tight. 2. Eating popcorn for dinner 3 nights a week can’t be a good thing. 4. It’s time for a life-style change. I met with my nutritionist yesterday to take measurements, weigh-in, ask lots of questions and come up with a new meal plan. Because it’s an 8 week program, she likes for the week to start on Monday, so I’ve been given a few days to wrap my head around some of the drastic changes I’m about to make. Let me tell you- this is going to be a challenge. I love cheese in any form: on a pizza, in my mexican food, on top of my vegetables. So this no dairy thing will be interesting. Not to mention, I eat cereal and milk for breakfast every morning, so that’s no longer an option (although I was told I could have it with unsweetened almond milk). Let’s also talk about the fact that I usually drink 1 glass of water a day (on a really good day) and now I’m supposed to drink at least 100 oz. of water per day. My goodness. All of this will pay off, I know. I’ll feel better about myself, feel physically better, and have a better understanding of what I need to eat on a regular basis. It may be a long 8 weeks, though 🙂 My apologies if I’m grouchy. 1) How do I make sure I’m the coolest aunt ever? 2) When can I take the kid to Disney World? I’m still trying to figure out those answers. Today, the little girl in purple polka-dots turns 2 and I am one proud aunt. Shelby (SJ) may talk ALOT. She may ask alot of questions that you don’t always feel like answering AGAIN. She may want to listen to “Own the Night” for the eleventh time in a row. She may play with your phone so much that it starts functioning in a different language. But she will never have to question my love for her. Spend two minutes with a two-year-old who shows you how to color or tells you, “I carry you” when in fact you are carrying her, and then tell me you can’t see joy in this broken world. Try walking in a room to have a munchkin run straight into your legs and wrap her arms them and then tell me that true happiness is a lie. When she’s a teenager and I’m completely out-of-touch with anything that’s cool, but still trying to explain to her how to be a girl worth being friends with in high school, she may roll her eyes and not speak to me. But for now, I’ll take any SJ-time I can get; all Elmo-overload, country music-watching, elephant-obsession; mac&cheese-loving time. 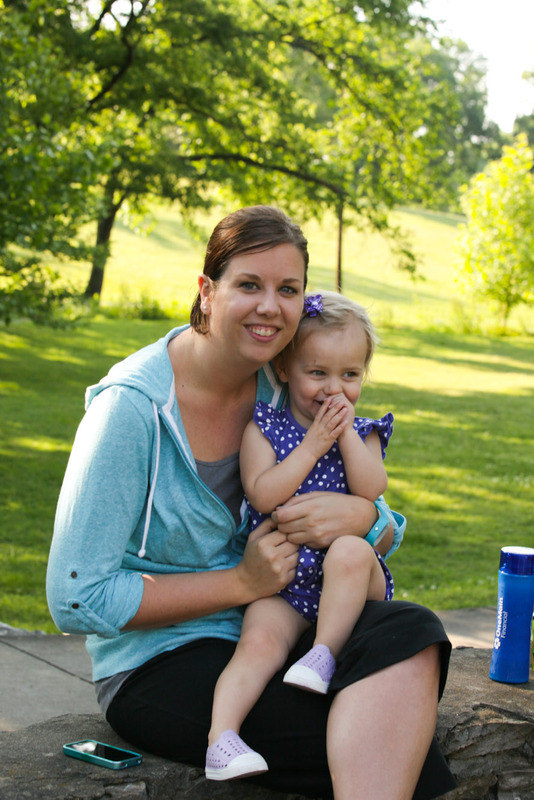 The little baby in the purple polka-dots is quickly becoming a little girl, but she will always have my heart. When do we go to Disney World? Last Friday, I left work and headed down to Milledgeville, GA where I attended college (Georgia College & State University) for four years. This small town is not home to much and can’t claim to have too much to offer. It is, however, a huge part of my heart. In Milledgeville, I discovered more about who I was, and I met people that challenged me, encouraged me, and made me laugh. I tried new things. I studied lots and procrastinated more than one should. I cried over big decisions and celebrated over big accomplishments. I found Jesus more and more everyday and saw faith tested like never before. I slowly uncovered what independence really meant and I pretended like I could really handle it. I relished in the weekends I could go visit my family and rejoiced in knowing that the friends I made in Milledgeville were quickly becoming an extended part of my family as well. Last Friday night, I drove into Milledgeville for the first time in 2.5 years, and I cried. If you know me well, you know that crying doesn’t happen often, but this time the tears were flowing. There’s a highway called 441 that goes through Milledgeville and it’s the road I take to get there from I-20. I traveled that highway so many times during college whether it was going to Atlanta, Athens, Eatonton, Madison or the lake. So, the minute my car merged off of the exit and onto that familiar highway, my heart melted. I felt completely cheesy for smiling in the car all by myself, but I was happy. Every memory and emotion of college began to flood my mind and that’s when the tears began to flow. I cried because I remembered how much I loved my college years. I cried because I knew I had driven those roads and wondered where I would be post-college. I cried because I remembered the nerves I felt when I drove highway 441 to go to my first day as a Young Life leader at Gatewood. And I cried over every worry, fear, and doubt I had during those four years. I pulled up to my favorite Milledgeville restaurant, The Brick, and walked inside to see five faces seated at a table that I knew I’d never want to get up from. My five best friends were waiting on me and I knew two things: 1) They would make fun of me for crying on my way into town, and 2) There was no where else I’d rather be. It was one of those soul-filling weekends. You know what I’m talking about? Those weekends that leave you rejuvenated because you know your life has purpose- and you know this because you’ve had a chance to see the steps you’ve taken and the steps you’ve missed and you still know that God’s hand has guided it all. Those soul-filling weekends where you aren’t ashamed to be sad or emotional or blatantly honest or frustrated or hopeful because you know you’re staring into the face of friends who became family. 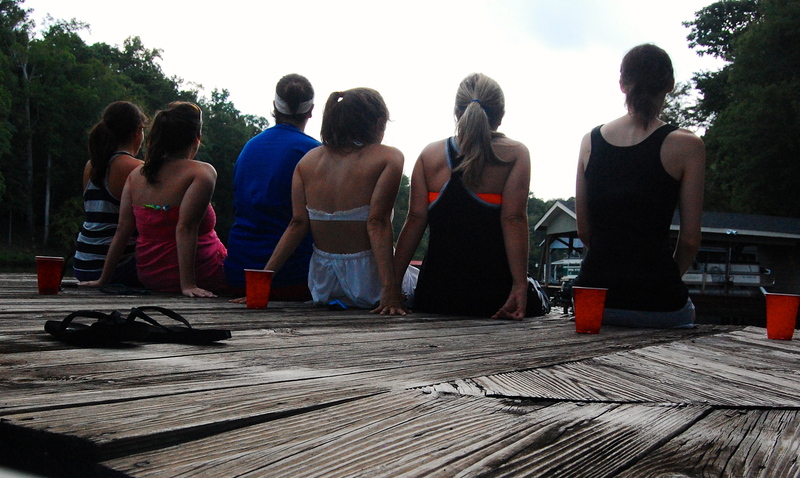 And for those soul-filling weekends (and Milledgeville, GA), I am eternally grateful.